Home buyers exploring Portugal are being tempted by destinations beyond the seaside utopia of the Algarve. The city of Porto is one option – and it’s a place with plenty going for it. Although the exact wording varies, “Porto works” is the part that never changes. Porto is very much a working city, with the medieval Ribeira district in particular creating the impression of a place that is gritty and real. However, while central parts of the city could be described as “Dickensian”, Porto is a modern and vibrant city. It is also one that’s becoming increasingly interesting to holiday-home buyers and investors. Porto may be 300 kilometres north of Lisbon and much further north than the Algarve, but the weather can still be very hot in the (albeit shorter) summer. It is mild and agreeable in the spring and autumn, while January and February still see highs of 15 and 16°C. Frost is a rarity. Sitting by the Atlantic ocean, Porto can be a rainy city, but the sunshine does manage to shine for around 7.5 hours per day throughout the year, compared to four hours a day on average in Bristol. Porto is a prime city break destination (and potentially an AirBnB opportunity for those who like the idea of renting out their property). Life in the city centre for its 220,000 population is primarily in apartments, and outside space is at a huge premium. 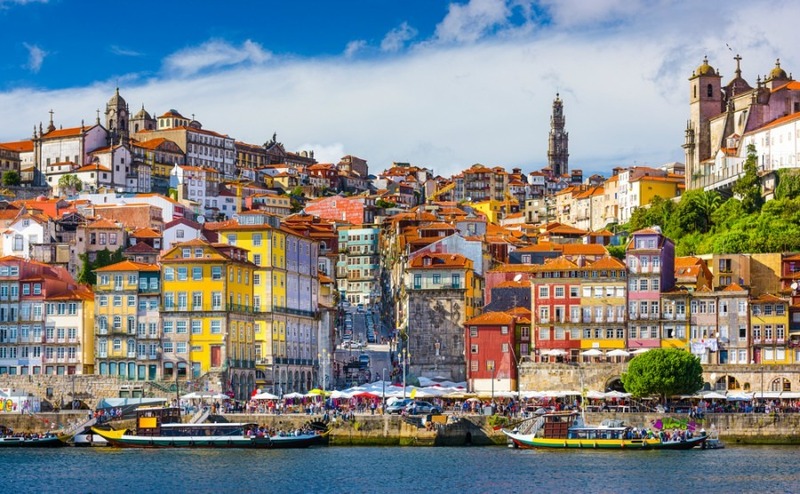 Another option is to live in Porto’s metropolitan area, but to choose a small town on the outskirts, where property is more varied and prices more affordable. Porto is already something of a hub for people who live in central Portugal – especially those for whom the city’s international airport is a closer option than Lisbon. Nearby destinations to check out include Vila do Conde, a growing beach resort just 30 minutes away by car. Another, Vila Nova de Gaia, is an upscale riverside region that’s home to the famous port wine lodges, and considered the “new” part of the city. Rural living in villages within the Douro valley is another option – one which combines tranquillity with easy access to the city and its (inexpensive) transport links. If you are willing to compromise a little on the “guaranteed” weather of southern Portugal you could do a lot worse than Porto. It’s a lively and friendly city, and one that’s easy to reach from the UK all year round. If you’ve yet to check it out, make sure it’s on your list. Properties are still extremely affordable compared to those in most comparable EU cities. If you are ready to buy a home in Portugal, come and see the Portugal Property Guide in person at Your Overseas Home. It’s a new style of overseas property show where you will have the time and space to speak to Portuguese lawyers, estate agents and currency experts. Click here to apply for FREE tickets for events this November and throughout 2018.